San Francisco, California – September 11, 2018. San Francisco Dental Implant Center, one of the top Bay Area dental implant centers, is pleased to announce a new blog post on the timely topic of customer reviews. If a resident of the Bay Area is searching for details about finding the best clinic for dental implants, it can be important to verify online reviews. Locals living in and around San Francisco can review the new blog post on dental implant reviews by going to https://www.sfdentalimplants.com/blog/at-san-francisco-dental-implant-center-only-one-review-matters-to-us-yours. Persons interested in a dental implant consultation can visit to https://www.sfdentalimplants.com/free-consultation/. Those who have more detailed oral surgery needs should visit the sister website at http://www.oralsurgery-sf.com/. Here is background on this release. Solid reviews from reliable sources can be important to a Bay Area resident searching for dental implants. The reason? Replacing teeth can be an investment in long-term health. Unfortunately, an unsuspecting person searching for good reviews for Bay Area dental implants could be fooled by fake reviews or reviews that are non-relevant. Choosing a clinic based on fake reviews could result in faulty dental work and a painful bite. It can be important to verify the quality of an online review before investing in a new set of teeth. Even more important is to set up a consultation with a dental implant specialist. No two sets of teeth are alike, and only a qualified oral surgeon can evaluate the need for dental implants. For these reasons, San Francisco Dental Implant Center has announced a new post on the importance of checking online reviews for authenticity. San Francisco Dental Implant Center, under the direction of Dr. Alex Rabinovich, focuses on the placement and restoration of dental implants, making it among the top-rated dental implant clinics in the San Francisco Bay Area. Dr. Rabinovich is a Board Certified Oral and Maxillofacial Surgeon specializing in the field of dental implants. This additional training, along with his years of experience, sets Alex Rabinovich MD DDS apart from the growing number of general dentists offering dental implant treatments. 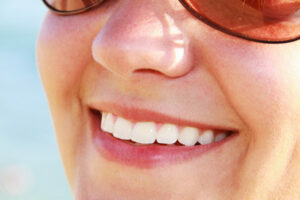 The cost of dental implants in the Bay Area can be easy to manage with payment plans available. San Francisco Dental Implant Center serves the San Francisco Bay Area including Marin county areas such as Tiburon, Sausalito and Mill Valley. This entry was posted in Press Release and tagged Bay area dental implants, San Francisco Dental Implants on September 11, 2018 by Lee McDonald.